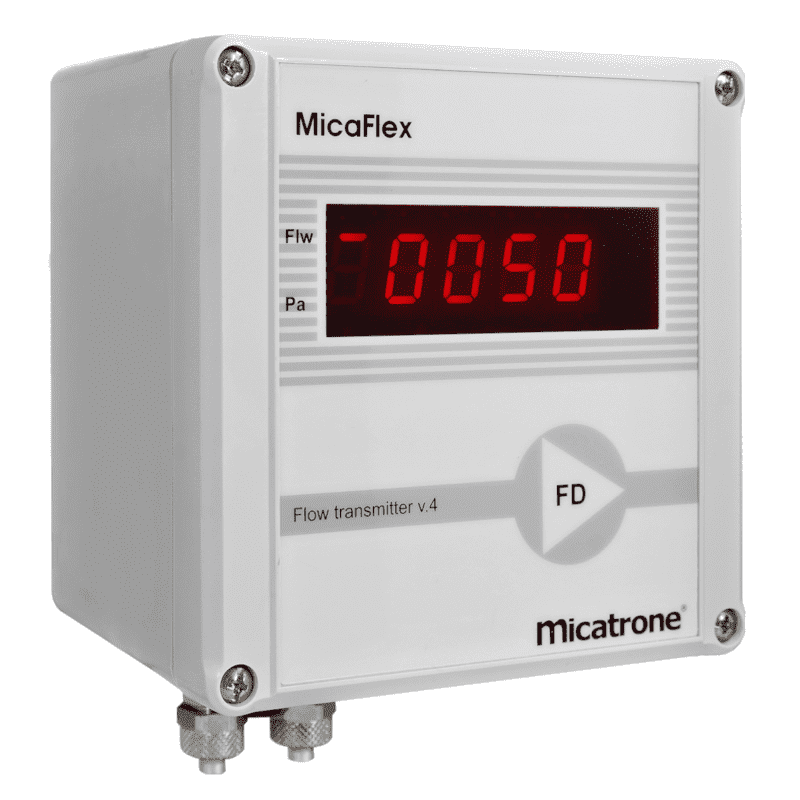 Micaflex MF-FD is a flow linear differential pressure transmitter specially developed for measuring air flow, together with all types of flow sensors with known flow constant, e.g. MFS flow sensor in ventilation ducts, chambers and rooms. They have an adjustable damping and a choice between a 0-10 V or 4-20 mA output. The flow transmitter is fitted with a 4-digit LED display for indicaiton of current flow or velocity.